The late precontact, or Pueblo IV period (A.D. 1275-1400) in the American Southwest was marked by a series of demographic upheavals throughout the Pueblo world that resulted in the formation of a radically new social landscape. Associated with these social transformations are seen dramatic changes in decorated ceramic traditions throughout the Southwest. The spread of these new pottery types required the movement of new technological and social knowledge between communities that influenced not only how decorated pottery was made, but also how and in what contexts it was used and what meanings its daily production and use. The project was funded by a major multi-year research grant from the National ScienceFoundation (0912154), as well as support from the Academic Senate Committee on Research and the Division of Social Sciences at UCSC. Members of the Friends of Tijeras Pueblo inventoried the collections at the Maxwell Museum of Anthropology, University of New Mexico and helped with ceramic attribute analysis and data entry. Graduate student, Emma Britton, and numerous undergraduate volunteers have also assisted with both field collection of ceramic resources and a variety of lab analyse. Major collaborators on this project include, Linda Cordell, former director of the CU Museum (deceased), Suzanne L. Eckert (Arizona State Museum) and William D. James (Texas A&M). This research has been done with permission from and in consultation with the Cibola National Forest (Sandia District) and the Pueblo of Isleta(Department of Cultural and Historic Preservation). 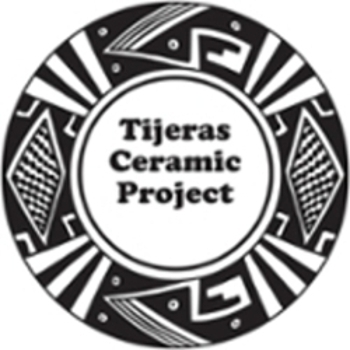 The Tijeras Ceramic Research Project utilizes a variety of analytical techniques, including attribute analysis, mineralogical and chemical characterization studies, and lead isotope analysis, to examine and characterize ceramic collections from the fourteenth century site of Tijeras Pueblo (AD 1300-1425) in the central Rio Grande region of New Mexico. These data are used to trace the circulation of ideas, techniques, raw materials, and finished objects through inter-regional networks of social interaction and shared cultural practices. In turn, the project explores how these networks functioned as conduits that facilitated migration and acted as arenas of social production that transformed practices of community and identity among the Ancestral Eastern Pueblos during the late precontact period.